Here's Analyn's second order, a petite dangling bracelet. 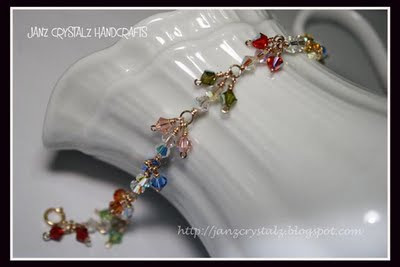 This tiny bracelet is composed of multicolor 4mm bicone Swarovski AB crystals strung with 14k gold-filled wire and linked with a 14k gold filled spring lock. Drop some notes if you want to order the same item.